Congratulations! You have received a Ham Gift Certificate from gThankYou! You may redeem the Certificate for one whole or half ham of ANY BRAND at any grocery store in the U.S. There are some specialty ham stores we do not have a relationship with, including The HoneyBaked Ham Company. Redeeming your Certificate is easy. Select the ham you want and present your Ham Gift Certificate when you check out. 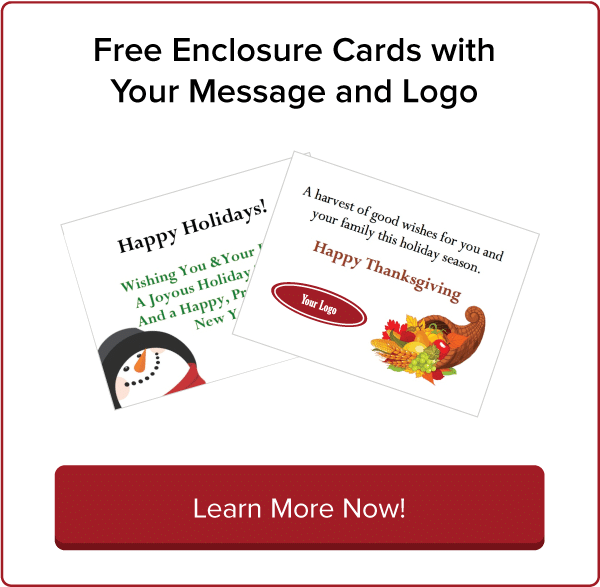 Your store will handle the Ham Gift Certificate just like a cents-off coupon. If you or the store has any questions please have the Store Manager or Cashier call 888-484-1658. Where can I redeem my Ham Gift Certificate? What type of Ham may I choose? May I spend more than the amount on the Ham Gift Certificate? May I use the Ham Gift Certificate for something other than a ham? At any grocery store that accepts manufacturer coupons. 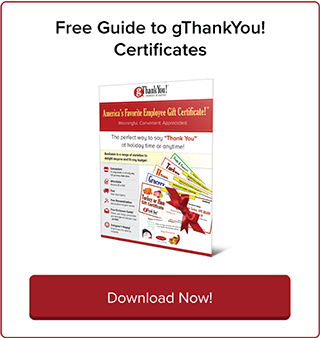 gThankYou doesn't have relationships with some some specialty ham shops, such as The HoneyBaked Ham Company, so you may not be able to redeem our Certificates there. 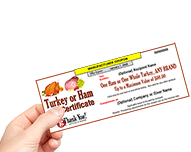 You can redeem your Ham Gift Certificate for ANY BRAND. Select any type of ham you want: whole or half; fresh, frozen or canned. Then give your Ham Gift Certificate to the cashier just like any store coupon. It's that easy! Ask the Store Manager or Cashier to call the toll-free number on the back of your Certificate. We'll answer their questions right away. Yes. You just pay the extra amount at the cash register. No. gThankYou Ham Gift Certificates are only good for any variety of ham. That’s what giver of the Certificate intended.